30th March 1918: Britain’s King George V, escorted by Lieutenant Colonel Reginald B. Rickman, inspects troops who survived the Battle of Bullecourt the previous year. The photograph was taken in Hermin, France in the final year of the First World War. Part of the bigger Second Battle of Arras between the German and British Empires, the conflict claimed hundreds of thousands of casualties. From the collection of the Imperial War Museum. Maria Ann Smith – known as Granny Smith – the creator of the green “Granny Smith” apple, died in the colony of New South Wales, Australia on the 9th of March, 1870. In 1868 Smith was handed a box of French crab apples from Tasmania at a market in Sydney. After she used them for baking, she discovered a seed in the discarded peels had sprouted in a compost heap. She continued to tend it in its place near a creek. After her death the property’s new owner marketed the fruit as “Granny Smith”. Smith married in England, having eight children (who survived early childhood) before emigrating to Australia in 1838. Increasingly controversial as it is, tomorrow is Australia Day, marking 231 years since the British First Fleet arrived in New South Wales. Here’s a publication from 1901, announcing the “new” Australian flag. 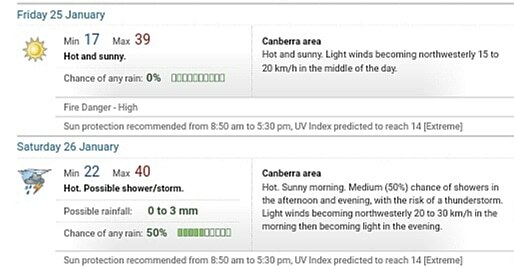 And things aren’t going to be very comfortable for the official, mostly outdoor events here in Canberra (the capital city), that run over the 25th-26th! Canadian Christmas stamp of 1898, less than three years before the end of Queen Victoria‘s long reign. At this point Canada was still part of the British Empire. ‘We hold a vaster Empire than has been’. H.M.S. Electra, struck by a “whirlwind” on the passage from Auckland, New Zealand to Sydney, New South Wales on the 20th of November 1856. 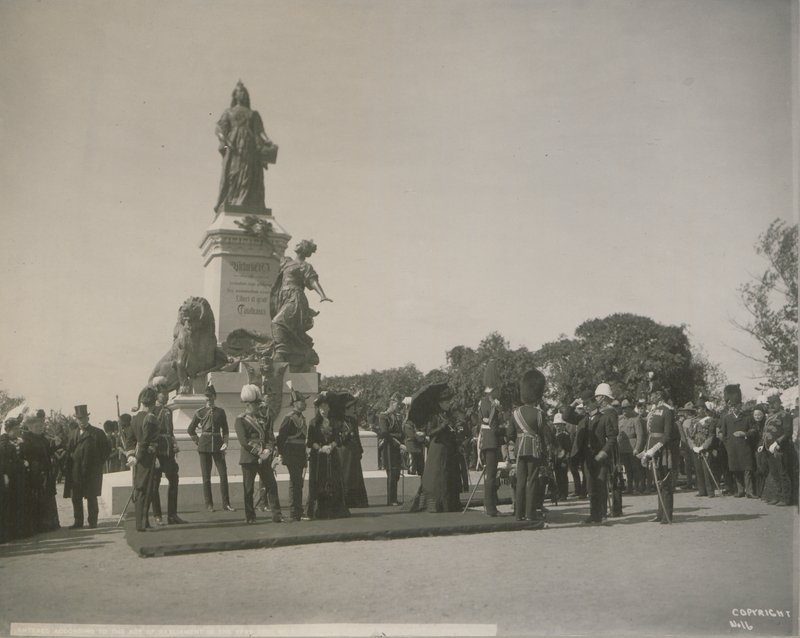 King Edward VII came to power in January of 1901, upon the death of his mother, Queen Victoria. The King’s son and heir and his wife, the Duke of York and the Duchess of Cornwall, subsequently went on a world tour of British territories. They are photographed here in Ottawa, Canada’s capital city, attending a lacrosse tournament on the 21st September. Today in Belfast: the gorgeous Victorian Catholic church of St Malachy, which was very nearly destroyed by the Nazis in World War Two.